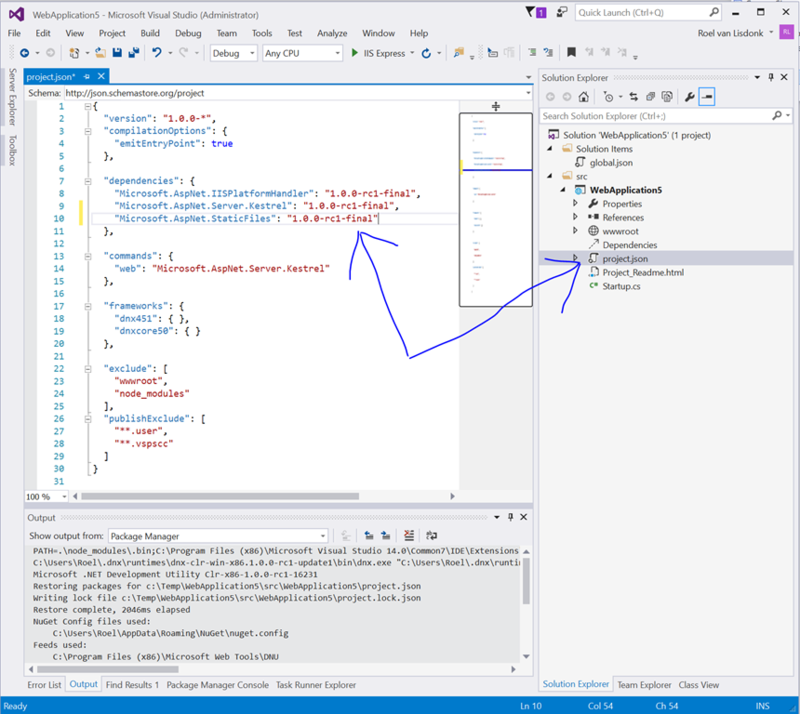 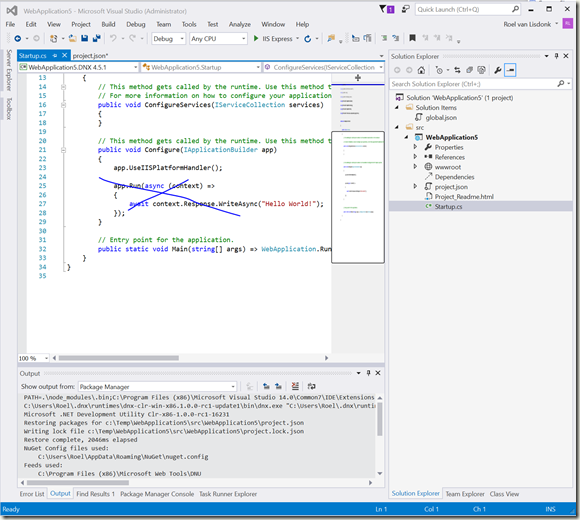 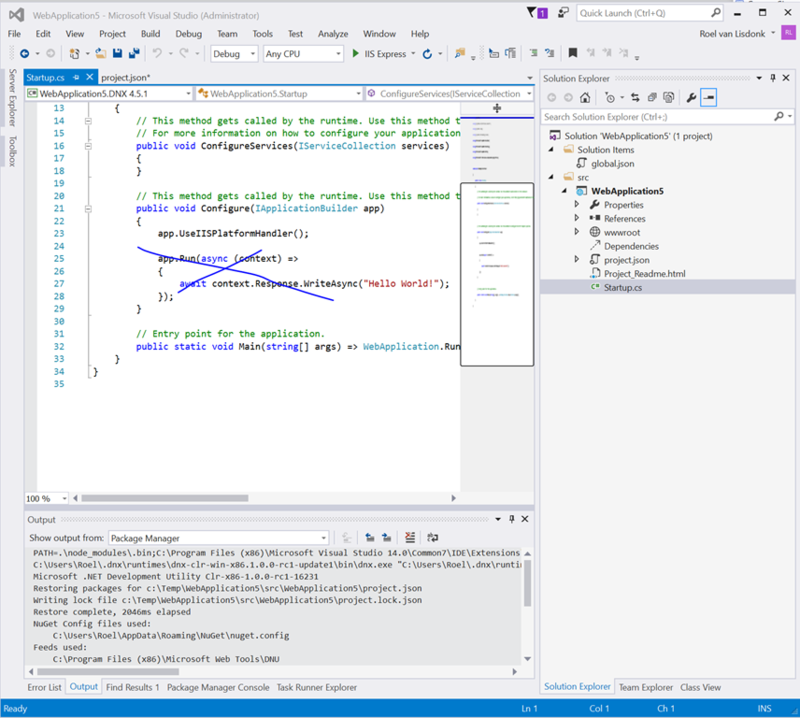 Closed all visual studio 2015 instances and opened the project, now I could build the project wihout errors. 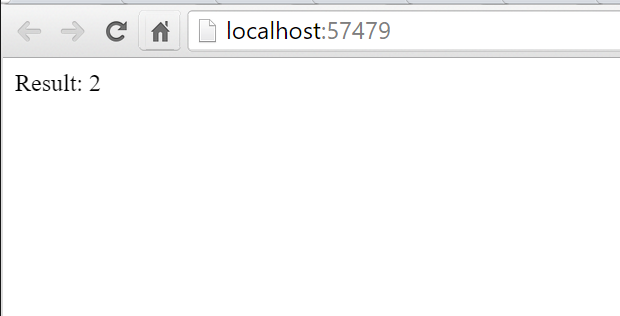 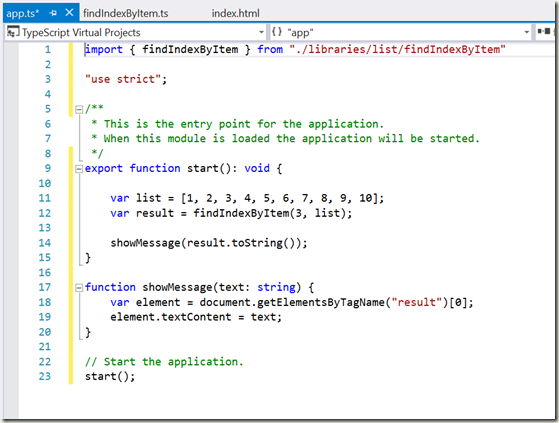 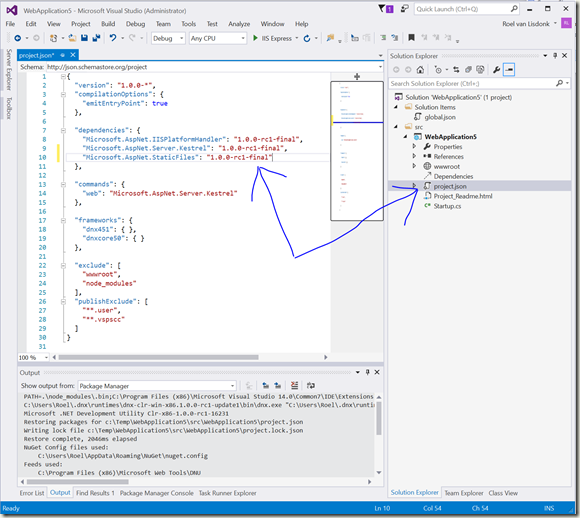 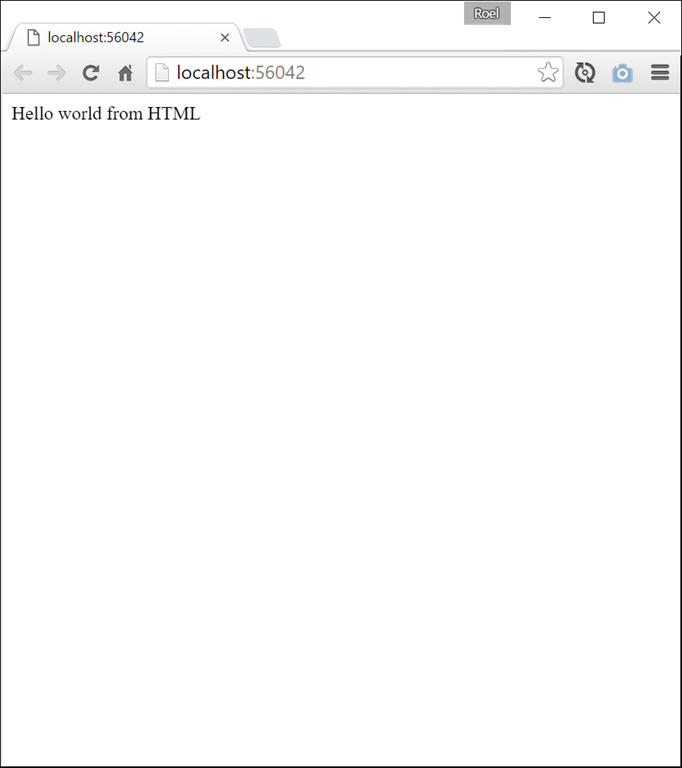 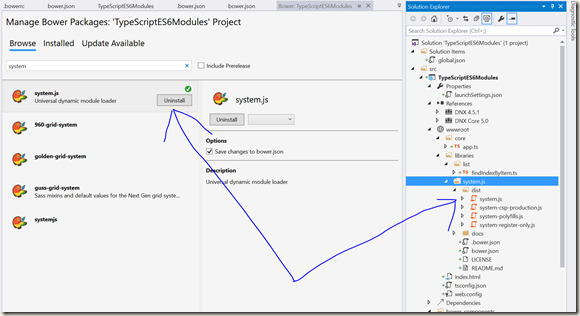 Starting with ASP.NET 5, TypeScript 1.7 and the ES6 module syntax compiled to ES5. 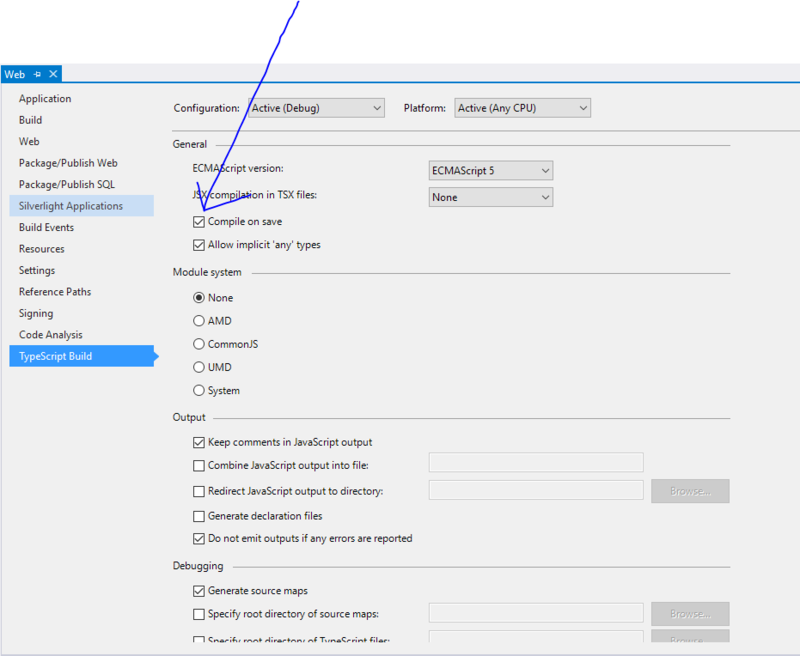 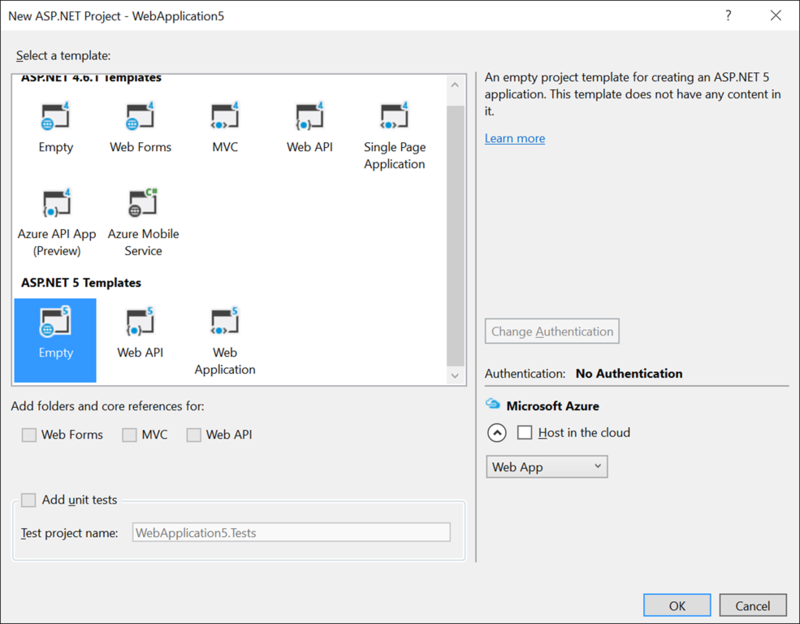 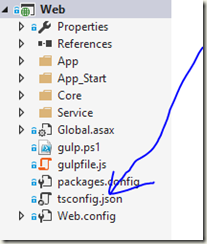 In the previous post I described how you can get started with ASP.NET 5. 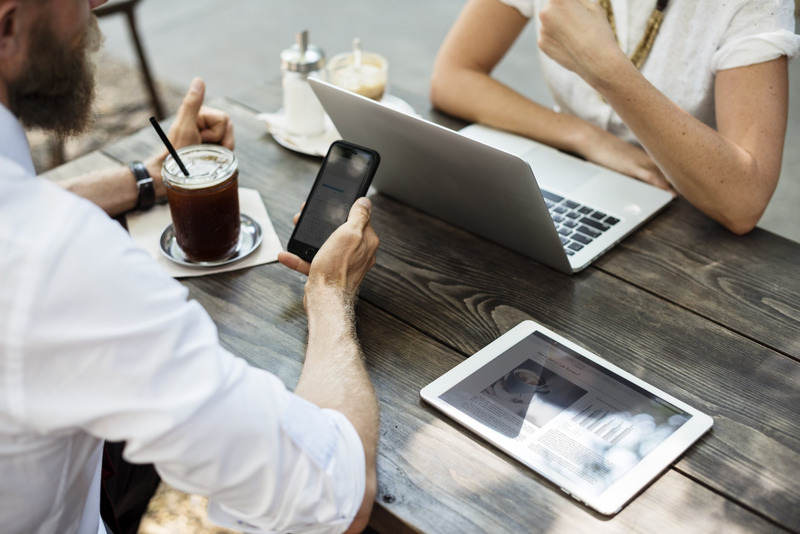 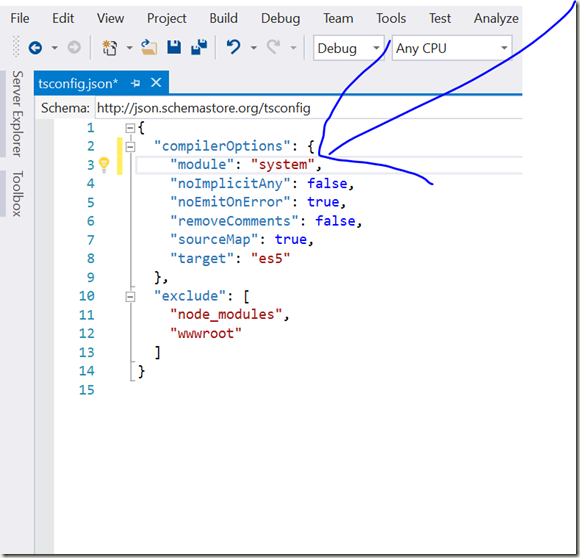 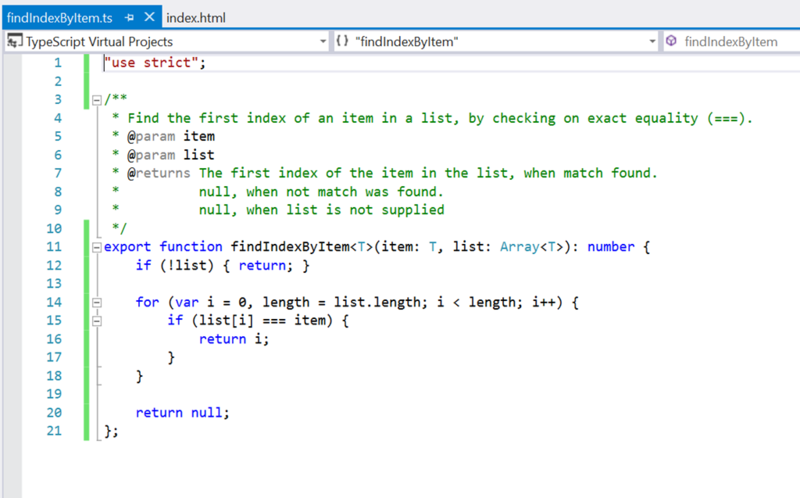 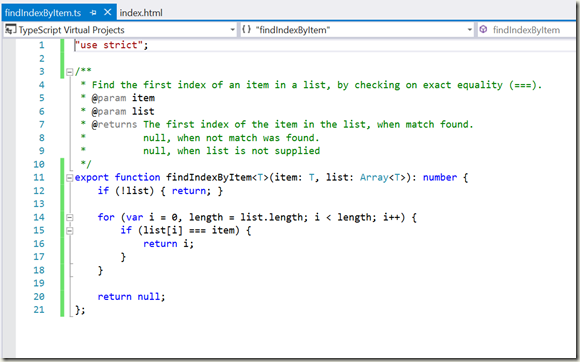 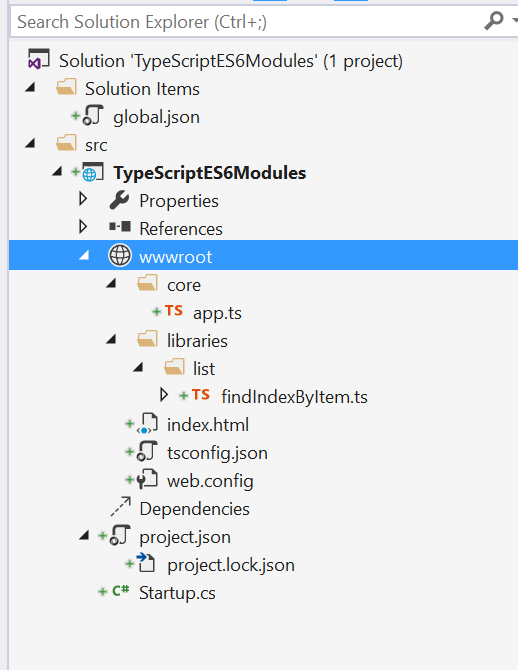 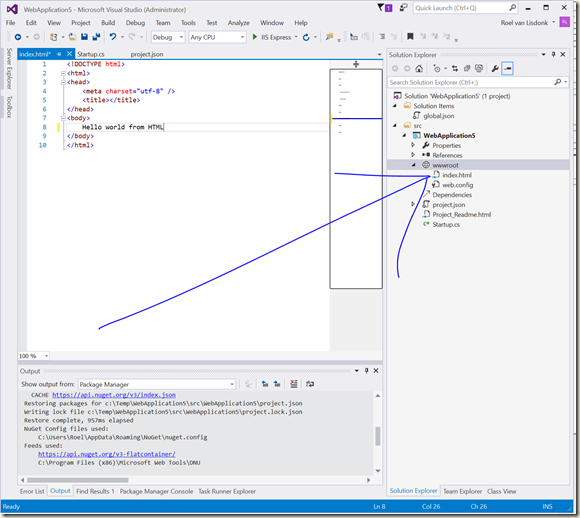 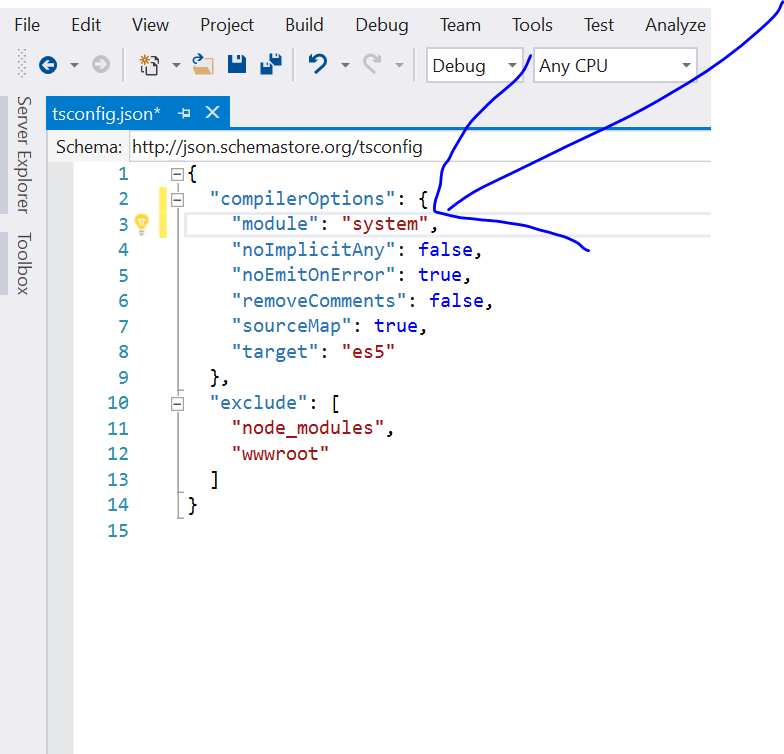 In this post I will describe how you can get start using TypeScript 1.7 and the ES6 module syntax to order your code in an ASP.NET 5 application. 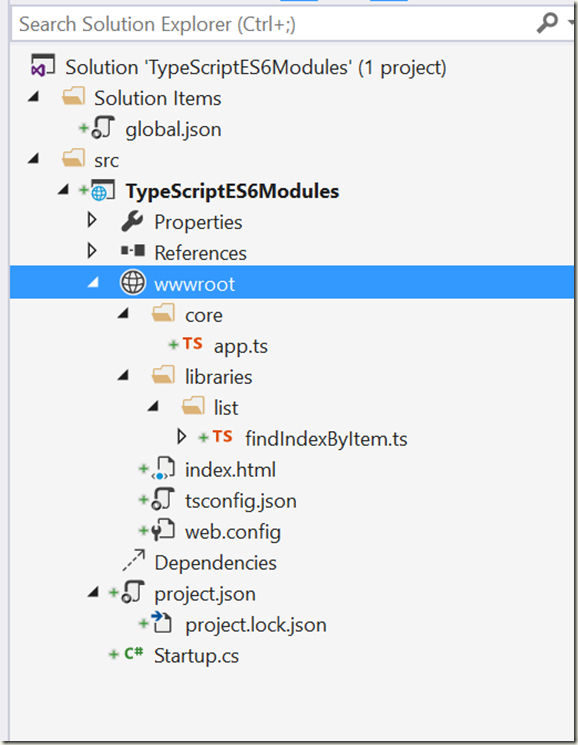 I will explain how you can use a “library” module inside your app code, by using TypeScript and the ES6 module syntax. 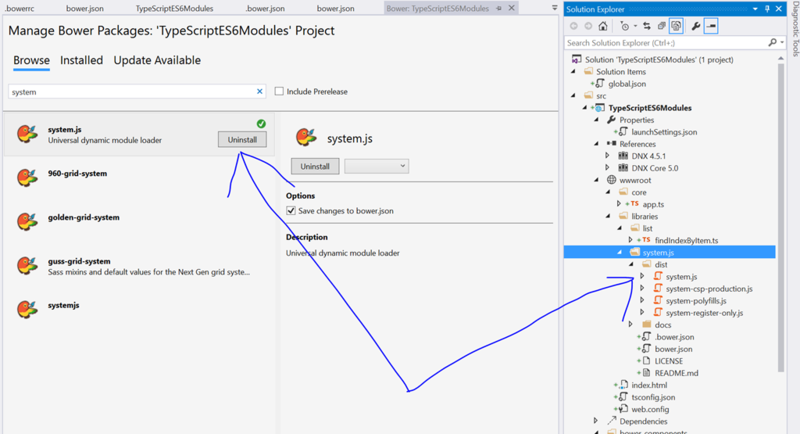 The compiled code will be in ES5, so we need a library called “system.js” to load the “ES6 modules” at runtime. 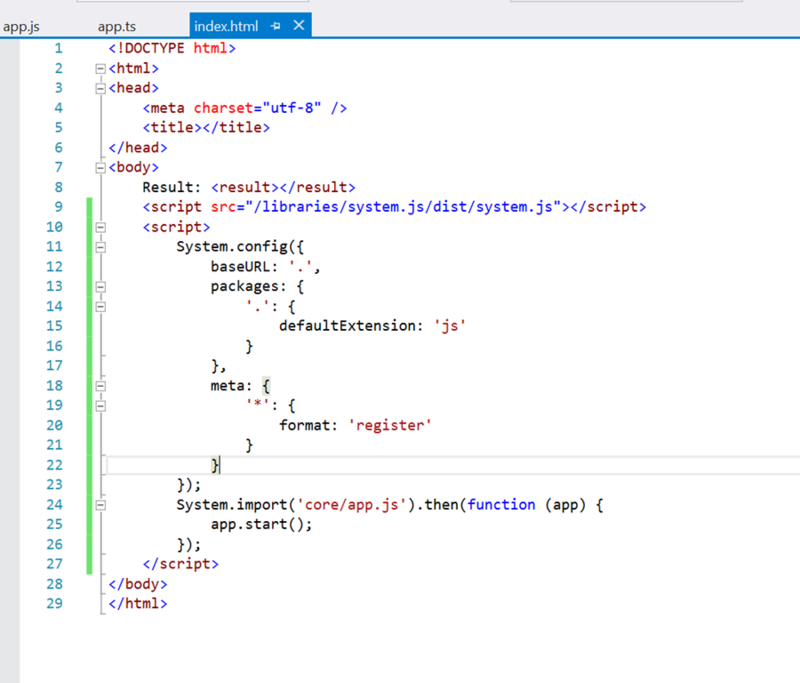 Add the system.js bower package. 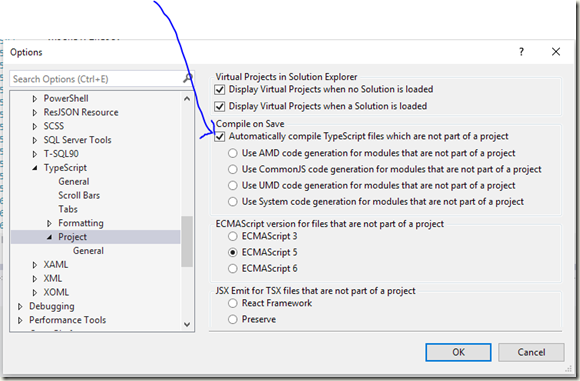 These modules are in the “system.require” format. 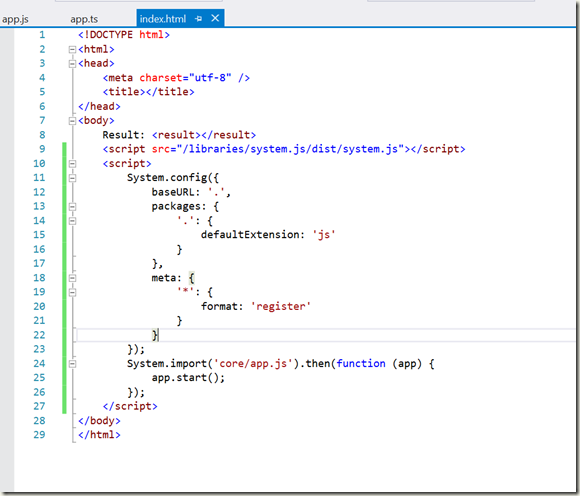 Before we can add the system.js bower package, add a “Bower Configuration File” to the root of the project. 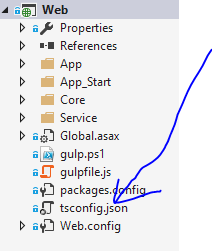 To make system.js recognize file paths like System.register(["../libraries/list/findIndexByItem"] , so without the “*.js” extension, we need to add a little configuration by using System.config, then we load the “core/app.js” file and start the application. 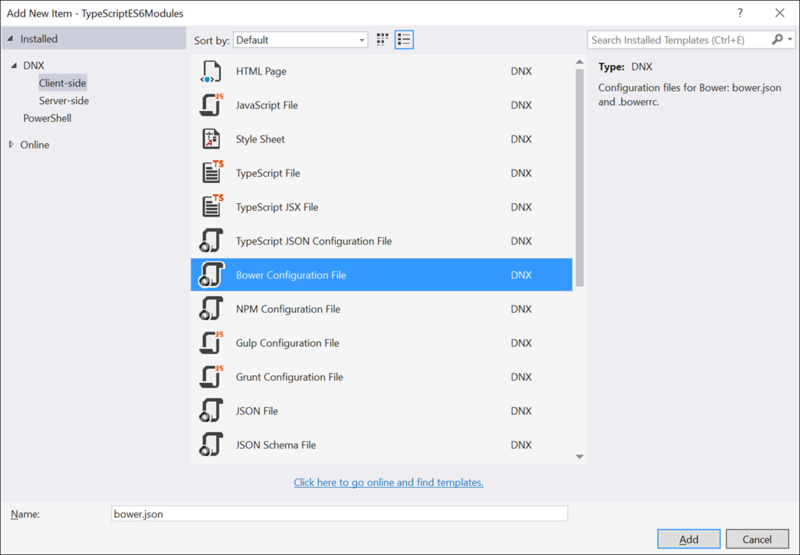 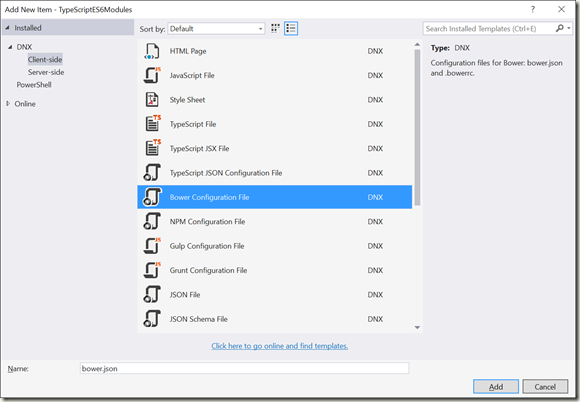 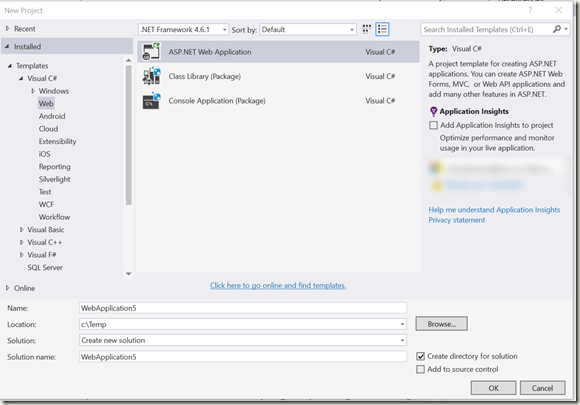 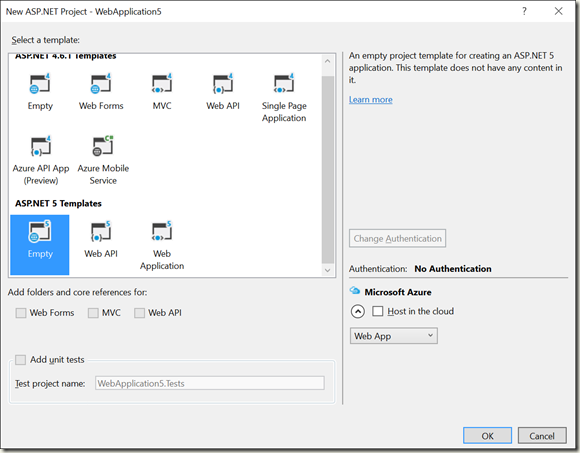 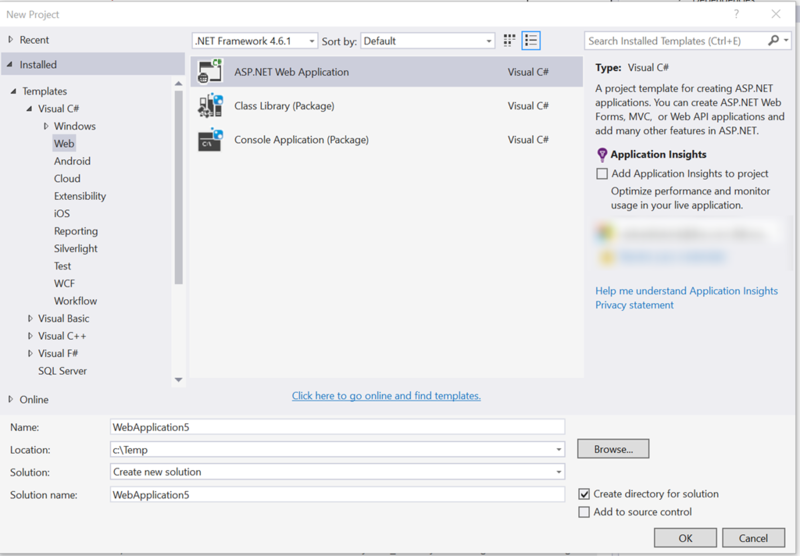 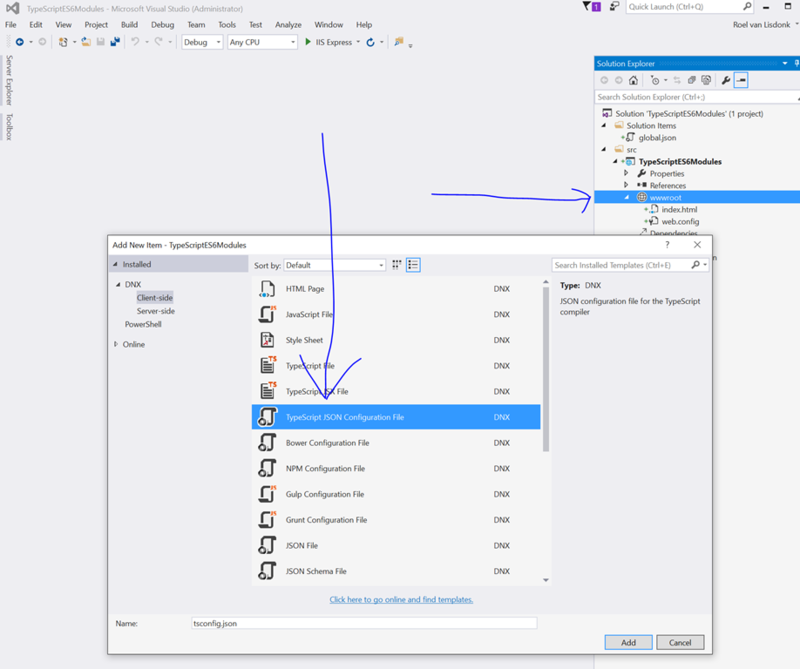 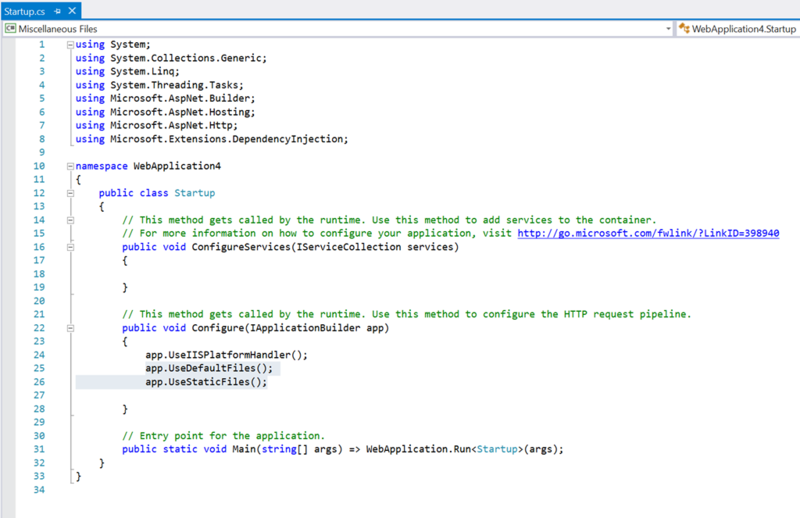 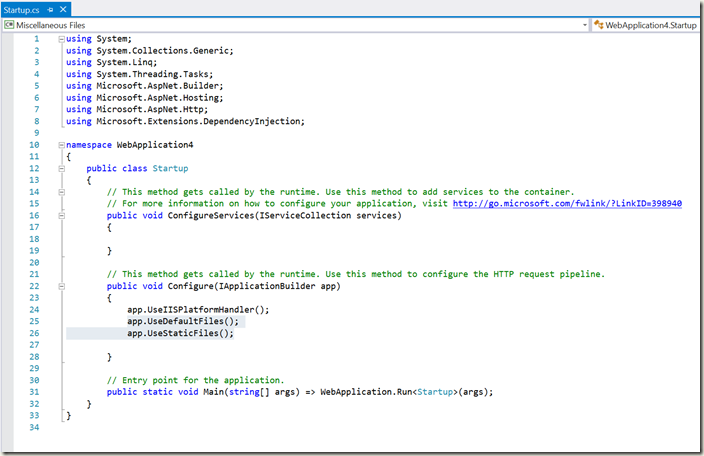 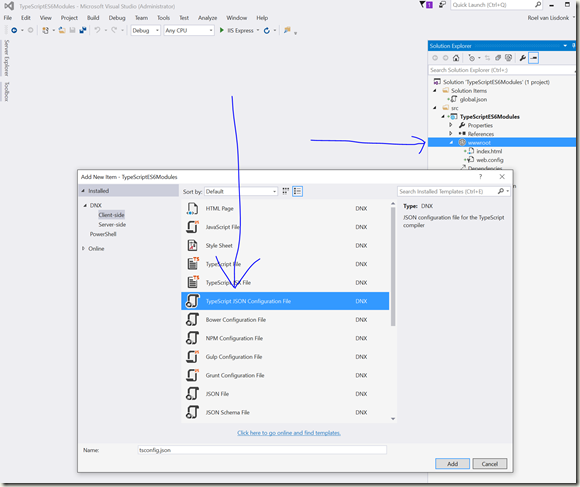 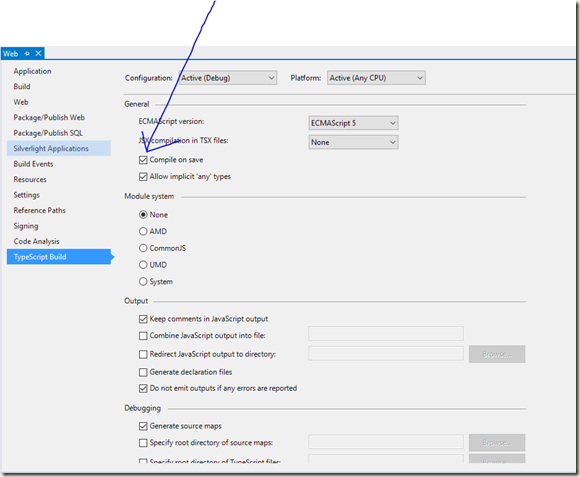 Starting with ASP .NET 5 (empty project) and static files. 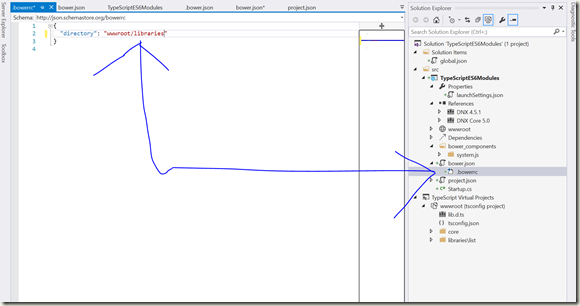 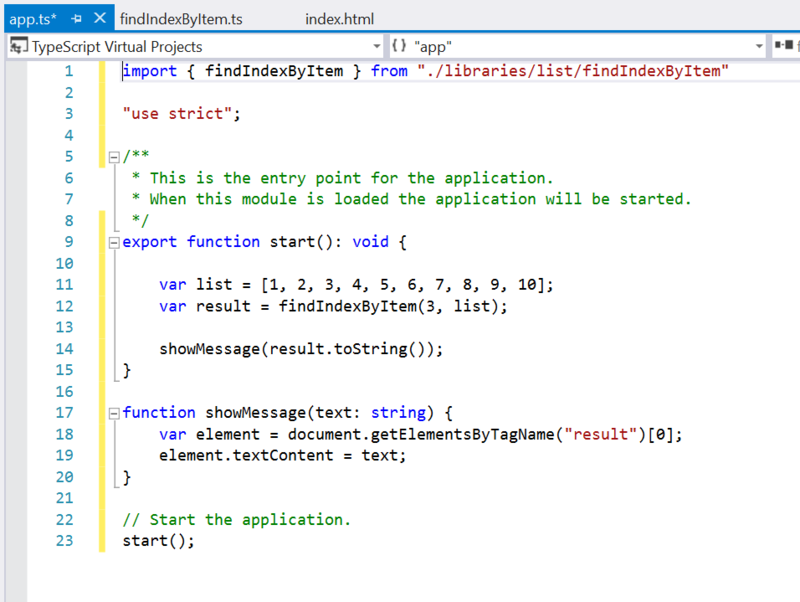 I upgraded Visual Studio 2015 TypeScript extension to 1.7.6, then compile on save stopped working. 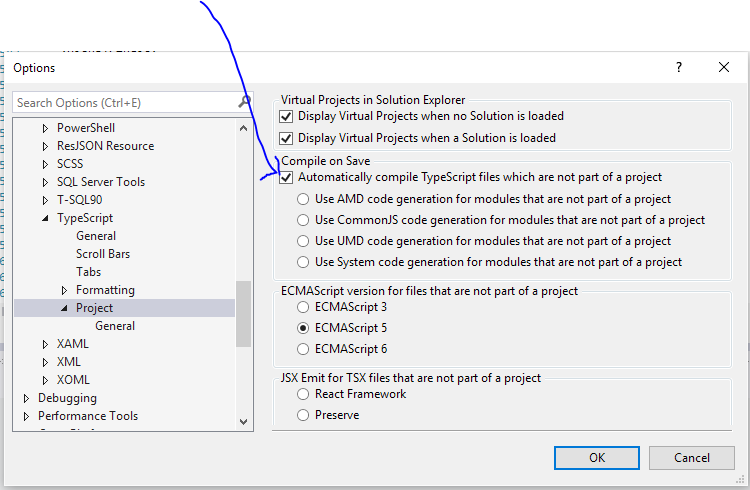 Then I checked if “Automatically compile TypeScript file which are not part of a project” was enabled (Tools / Options). 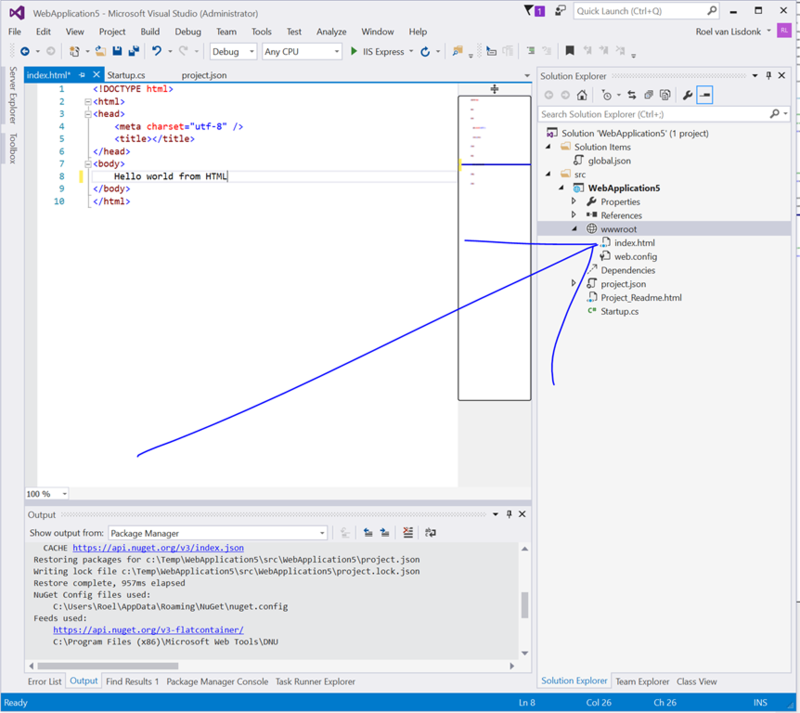 Then the TypeScript files still would not compile on save (they were compiled, when the project was build, but not when a TypeScript file was saved. 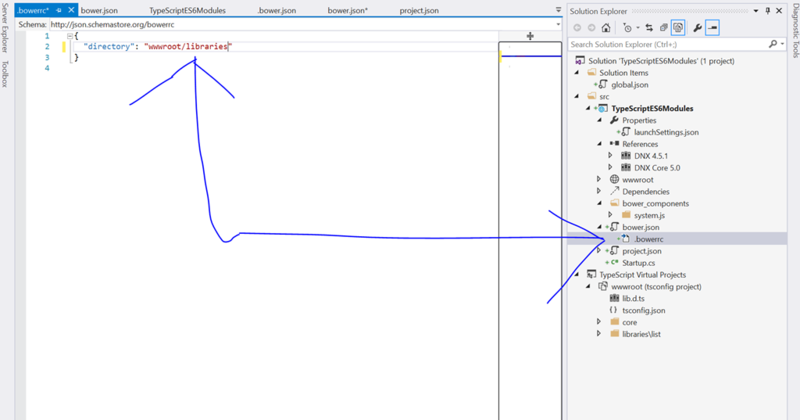 Don’t now if both steps are needed, but after that, my compile on save started working again.